This vegetable pasta is coated in a gorgeous creamy sauce but don’t be put off with the fat in the cream, it is after all only a very small amount 🙂 And think about all the vitamins and goodness you are getting from all the veg 🙂 My advice is too eat this fresh as the pasta will soak up the sauce. If you also want to make it extra saucy then just add a dash or two more of milk or cream – it will be fine. I really hope you enjoy this one, it is so simple yet so tasty! Leave me a comment at the bottom of the page, I would love to hear off you. 1.Boil up some water and pour into a large pan. Add your pasta and leave on a medium heat to cook for around 20 mins. 2. 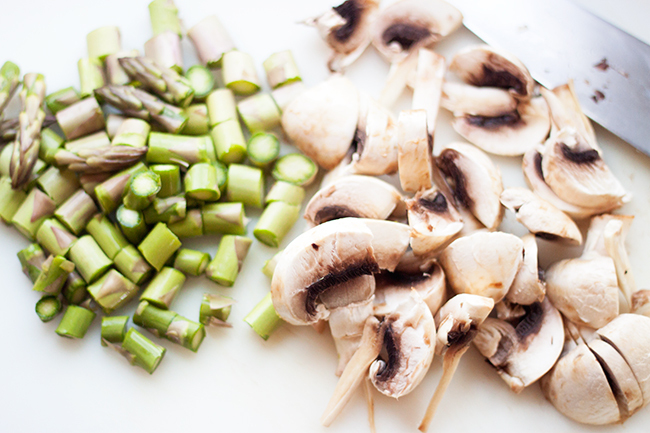 Roughly chop your asparagus and pop in to another pan of boiling salted water and simmer for 2 minutes. Quickly drain and run under cold water to refresh them. Interested in trying to grow your own asparagus? Take a look at this handy guide. 3. Roughly chop up all of your vegetables. 4. 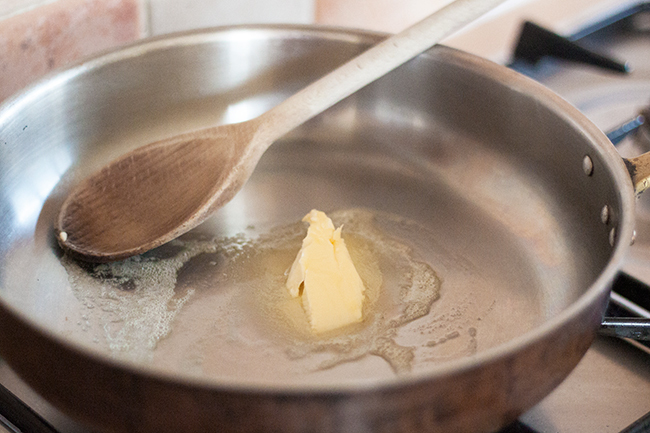 Melt the butter in the frying pan. 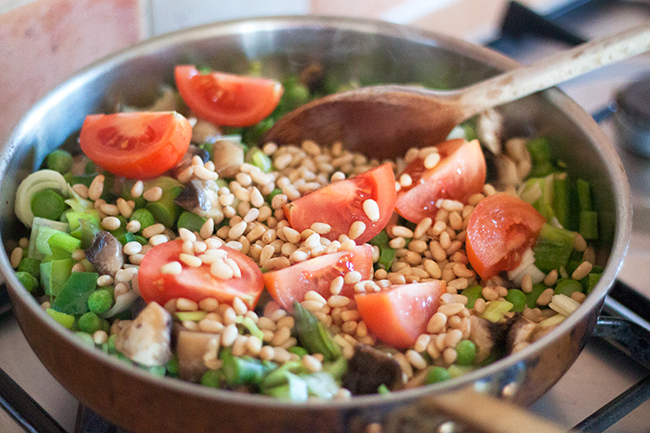 Add your vegetables (including asparagus) & pine nuts to the pan and lightly fry for 2 – 3 mins. 6. Add the smoked paprika, parsley and season your creamy vegetables. Leave to lightly cook on a medium heat for 5 mins. 7. Once cooked, take off the heat. 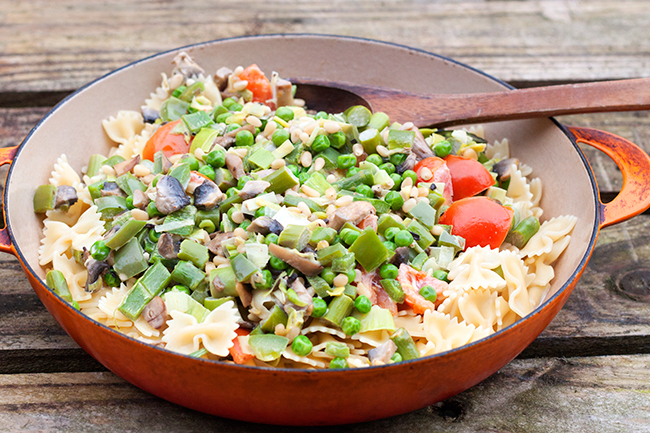 Drain your pasta and serve up in to your portions. 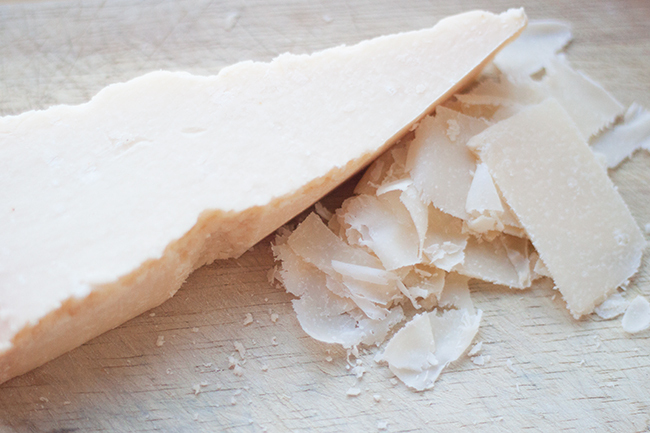 Spoon equal amounts of creamy vegetables over the pasta and serve with fresh grated Parmesan. Go the extra mile and grow your own veg with the help of Garden.eco some really helpful advice on here. A list of alternative healthy vegetables you could include by Healthline. This pasta looks amazing! I love all the veggies going on here. No other way.